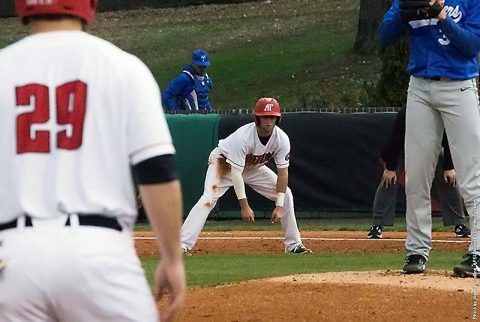 Raymond C. Hand Field | Clarksville Sports Network - Clarksville Tennessee's most trusted source for sports, including Austin Peay State University. 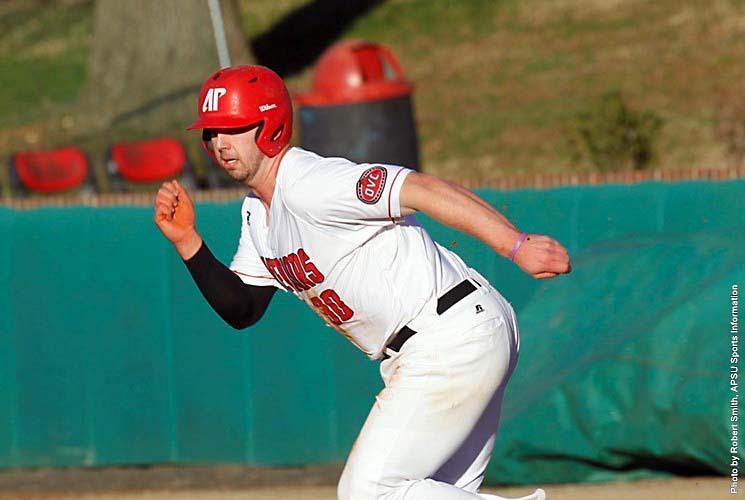 Clarksville, TN – Week 2 of the 2019 season will see the Austin Peay State University (APSU) baseball team will participate in the 2019 Mule Mix Classic, Thursday-Sunday, with games each day on Joe and Cathi Maynard Field at Raymond C. Hand Park. 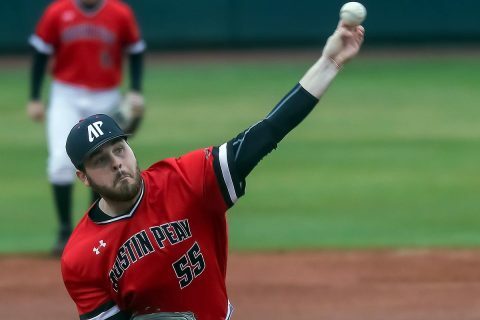 Clarksville, TN – Austin Peay State University (APSU) baseball starting pitcher Josh Rye surrendered just three runs over five-plus innings, but Kentucky again pieced together a late charge to claim an 11-1 victory, Sunday, at Joe and Cathi Maynard Field at Raymond C. Hand Park. 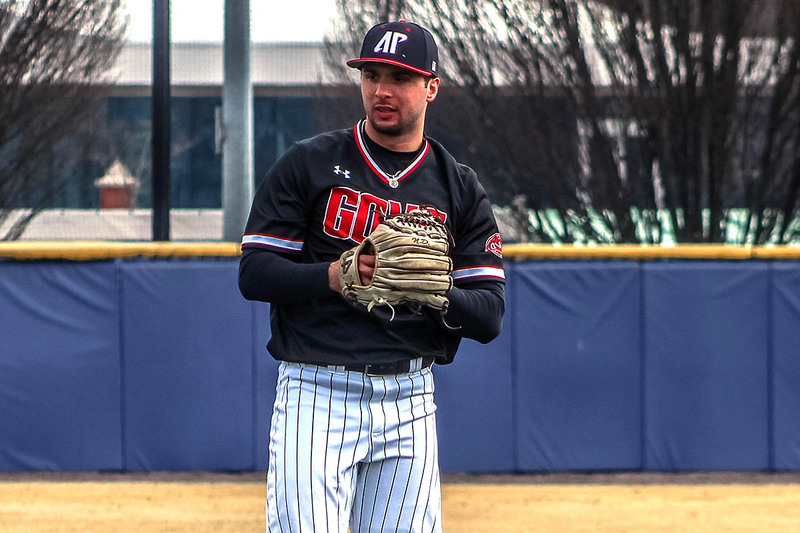 Clarksville, TN – The final game of the Austin Peay State University’s baseball team three-game Ohio Valley Conference series against Eastern Kentucky will be scheduled to start at 1:00pm, Sunday as rain saturated the Clarksville area Saturday morning with more rain in the forecast. The Stephen Huff Lung Cancer Awareness day scheduled for Saturday will now be held Saturday, April 28th as part of the series with UT Martin. Clarksville, TN – Due to forecast inclement weather, Austin Peay State University’s baseball team has postponed Saturday’s final game of its series against Toledo. 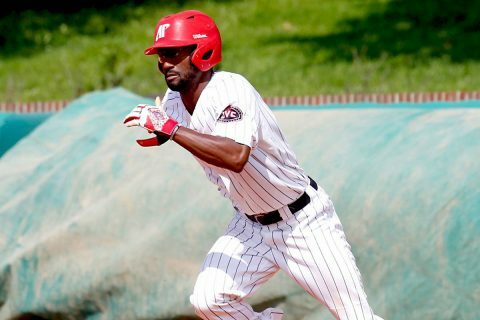 The Governors and Rockets now will play that game at 1:00pm, Sunday, February 25th at Raymond C. Hand Park. Clarksville, TN – In just seven days Austin Peay State University’s baseball team will take the field at Raymond C. Hand Park to begin its 2018 campaign, opening with a 3:00pm, February 16th contest against Maryland Eastern Shore. Third-year head coach Travis Janssen has led the Governors to the Ohio Valley Conference baseball tournament in each of his first two seasons after they missed the tournament the two years before his arrival. 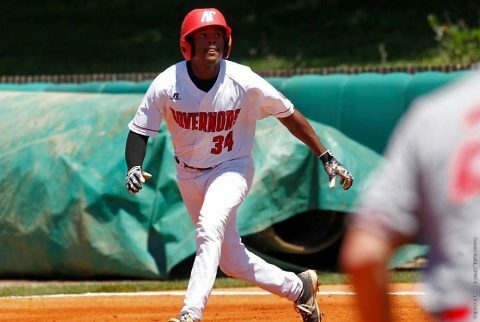 Clarksville, TN – Austin Peay State University’s Governors Baseball Team will hold walk-on tryouts at 6:00pm on Thursday, September 14th, 2017 at Raymond C. Hand Park. 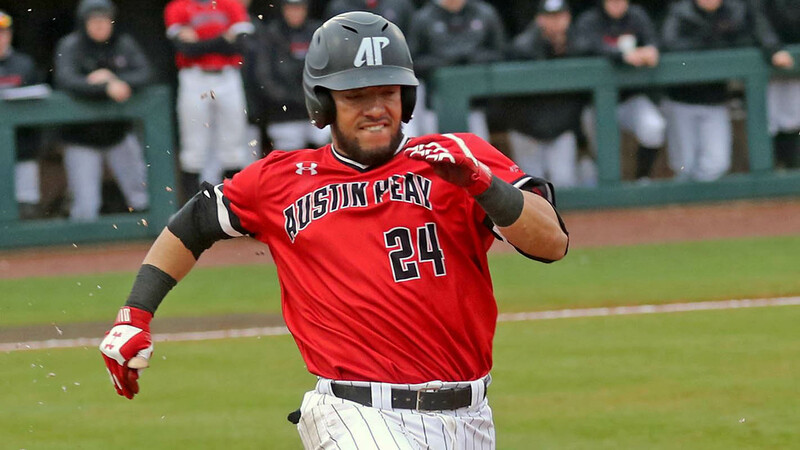 Clarksville, TN – In his final home at-bat, Austin Peay State University baseball third baseman Alex Robles hit a walk-off grand slam to complete a massive Governors comeback win, 14-11, against Lipscomb, Wednesday afternoon at Raymond C. Hand Park. 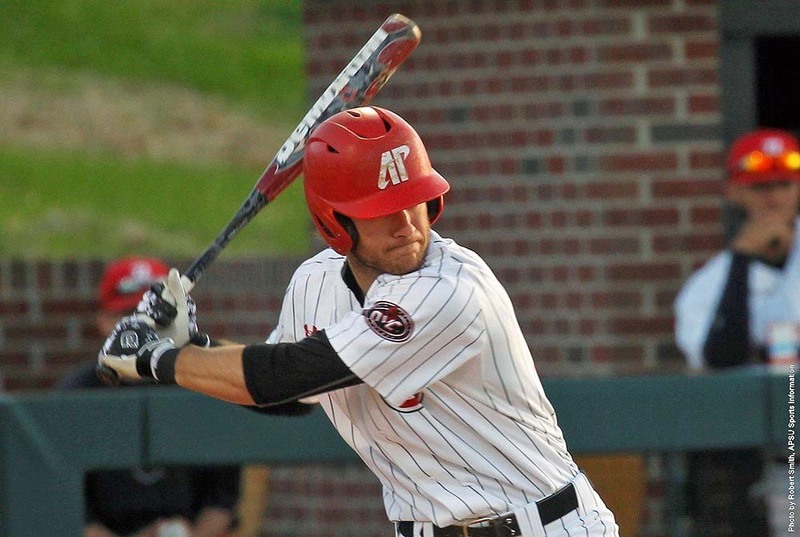 Austin Peay (22-25) faced a daunting 11-6 deficit entering its half of the ninth inning. 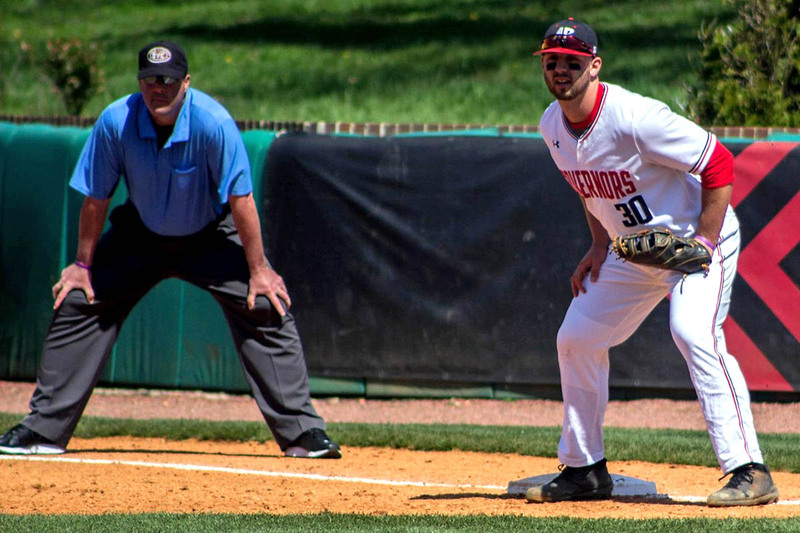 The Govs began chipping away at that deficit as the first six batters reached base safely. Clarksville, TN – With its surging offense in tow, Austin Peay State University’s baseball team will get a finals week test when it meets Vanderbilt in a 7:00pm, Tuesday contest at Hawkins Field in Nashville. The Govs bats pounded out 52 runs during last week’s four games while posting a .365 batting average and hitting eight home runs. 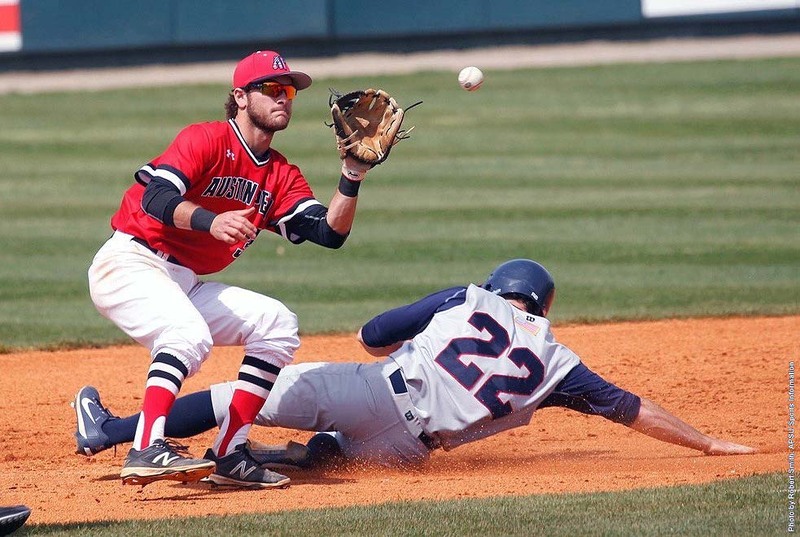 Clarksville, TN – Austin Peay’s baseball team begins the regular season’s final month with a three-game Ohio Valley Conference road series against UT Martin, Friday-Sunday, at Skyhawk Field. Clarksville, TN – On Thursday, April 13th, Austin Peay’s baseball team will begin a five-game road trip when it visits Eastern Kentucky for a three-game Ohio Valley Conference series. The Govs and Colonels will begin the series with a 6:00pm (CT), Thursday contest followed by a 5:00pm (CT), Friday matchup. A noon (CT), Saturday affair will conclude the series.